“Beaten by a girl. How humiliating,” he lamented. “I’ll happily add some broken ribs to your humiliation if you don’t tell me where that woman took Juni,” Cammy threatened. Billy Kane slowly propped himself against the wall. “Who is she?” asked Cammy. “Her name is Christie. I didn’t catch a last name, but she is British. Just like you and me,” said Billy. “Where is she taking Juni?” Cammy questioned. “I remember something about giving her to scientists for research or experimentation. I try not to ask too many questions on the job. Employers usually prefer it that way,” Billy responded. “Experimentation? That poor girl has already been through so much.” Cammy narrowed her eyes. “You know I can’t tell you that. Show some professional courtesy, I’m trying to make some money for my sister and me,” said Billy. Cammy pulled out her cell phone and Billy noticed her Delta Red badge. “Sorry, I can’t say that it does. I can give you some Interpol contact information if you’d like,” Chun Li offered. “Definitely, if Bison is behind this,” said Cammy. Chun Li hung up her phone just in time to greet Helena Douglas. “Good news Officer Lee, Kokoro informs me that she and Zack have tracked down Hitomi and soon will be picking up Jann Lee as well. She says they will also pick up another strong fighter with Hitomi. Things are moving quickly, this is good news. How goes the recruitment on your end?” asked Helena. “By all means. I’ll be in the other room brainstorming with Paul, Marhsall, Lily, and Asuka. Remember our flight leaves in a few hours,” Helena informed. Chun Li nodded. She quickly rang up her American friend and occasional partner. “If it’s Bison you’re after, you know I will help in anyway I can. Where do you stand right now?” asked Guile. “I will be there,” said Guile. “Guile, this is probably a long shot, but is there anyway you would be able to track down Ryu?” Chun Li asked. “I don’t know. I think we’ll have an easier time tracking down Bison. Ryu is in the wind when there isn’t a World Warrior tournament being held,” said Guile. “Great idea. If anyone can find him, it’s Ken,” Chun Li remarked. 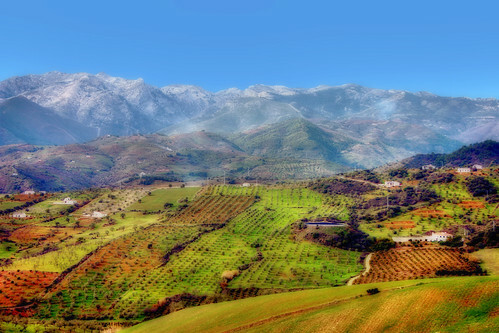 Vega walked around the country side of Spain looking at the picture of his target with disgust. His name was Miguel Caballero Rojo and he was a gruff looking man. Vega decided that even if Miguel did have useful information on the whereabouts of Soul Edge, Vega was going to do the world a favor and remove this shaggy man from it. Vega never liked Balrog and told Bison every chance that he could that Balrog was too dumb to be trusted with any responsibility and employing him put them all at risk. Given Balrog’s disappearance, Vega would like to tell Bison “I told you so.” But, Vega knew that it only meant more work for him. According to Shadoloo’s information on him, Miguel had been building up a small resistance faction to take on the mighty Mishima Zaibatsu. Surely, if he was planning on taking on a dominant world power, an item as allegedly powerful as Soul Edge would come in real handy. Vega had talked himself into believing that Miguel Caballero Rojo was the King of the Iron Fist participant that they had been searching for. Vega arrived at Miguel’s faction’s last known location, it was in tatters. The corpses of dead men were spread out all through the facility. Vega inspected all of them. None of them looked like Miguel Caballero Rojo. Vega continued to walk through the facility with no sign of Miguel. Miguel jumped down from a stack of crates behind him. “Then why are you here?” Miguel demanded. This will be a brutal and bloody fight. I see Vega causing problems with his speed but Miguel is crafty and will lure Vega into making a mistake and he will catch him with one good shot that will turn the tide. Going with Miguel in an upset. Good fight and I am giving this to Vega. Vega has prep on his target so with his super-human speed (That rivals Chun Li) and excellent fighting skills he wins. I didn't know Vega had super-human speed I just thought he was really fast. Vega wins, Miguel is pretty much a brawler with headbutts and whatnot and Vega has been through that plenty of times. I think Vega can win after a fair good fight. Another good set-up, JohnnyChany, and nice continuation of the arc. See, this makes me wish I had played more Tekken growing up. I'm still finding myself research these Tekken characters. I know Vega is easily one of the quickest Street Fighter characters (up until fairly recently, he was the quickest), and he has that claw that can do some nice damage. but his defense isn't that great. This Miguel character, however, looks like a pretty tough dude. He also appears to be a very strong, sneaky brawler type. Vega may outquick Miguel, but I don't think he'd be ready for Miguel's underhanded tactics. Vega's an assassin, a street fighter, and a preeminent member of the world's most powerful criminal organization. Whether Miguel wins or not, I can't imagine that victory will be determined by Vega's lack of experience with dirty fighting. DSkillz gives it a grade of: A Another good story and matchup.